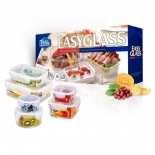 Easylock also provides 5-in-one gift sets which includes different sizes of rectangular, round and square glass food containers. 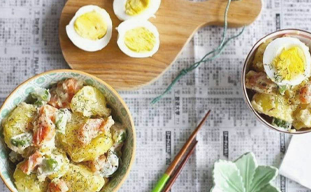 They are safe in microwave, oven, freezer and dishwasher. 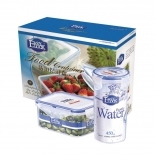 - Safe for Food Storing. 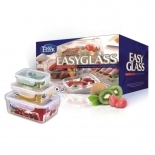 Easylock glass food containers gift set includes 400ml to 1520ml for you to store leftovers, food, fruits and more. It's easy to clean and odor-free. 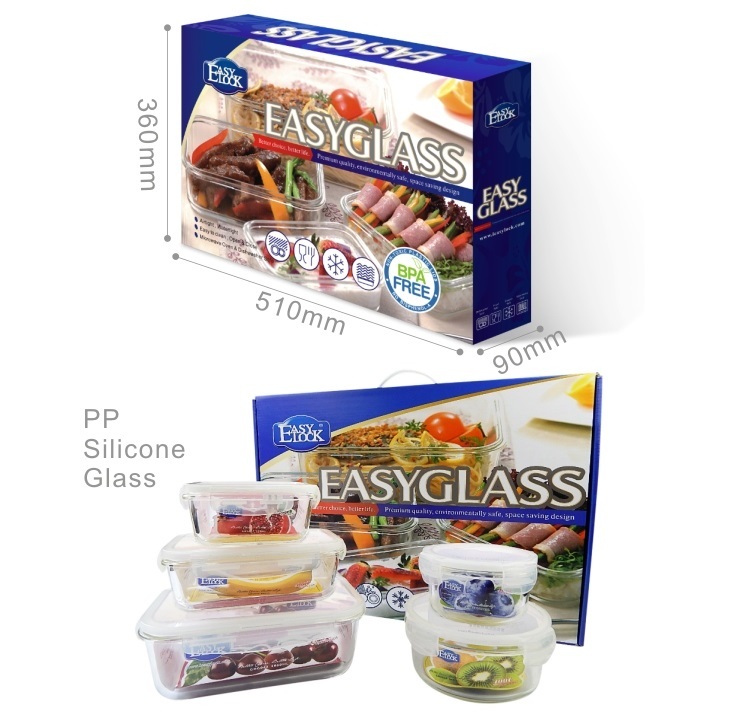 Easylock bakeware is made of high-borosilicate glass. 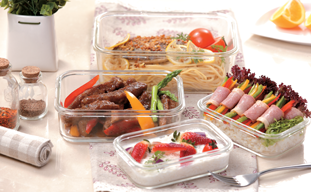 It's pre-heated oven safe, microwave safe, freezer/refrigerator safe and dishwasher safe. So, it can withstand temperatures ranges from -140℃ to 400℃. 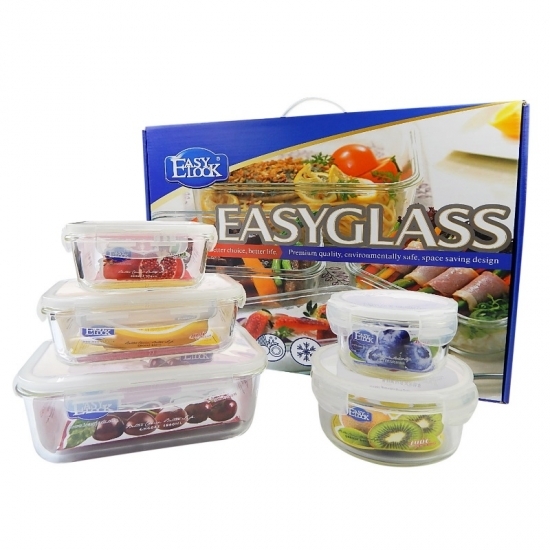 You can remove the plastic lid and bake your dishes in oven directly with Easylock glass food containers. 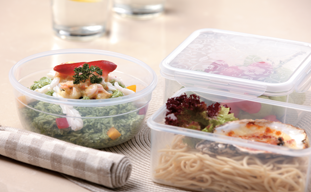 Another advantage of Easylock microwavable glass food storage containers are that it's stackable. This will save plenty of space in your pantry and freezer and make your kitchen organized.